We Are Chester’s Angela Ferguson was more than a little excited to be invited to taste test the new menu at Yo! 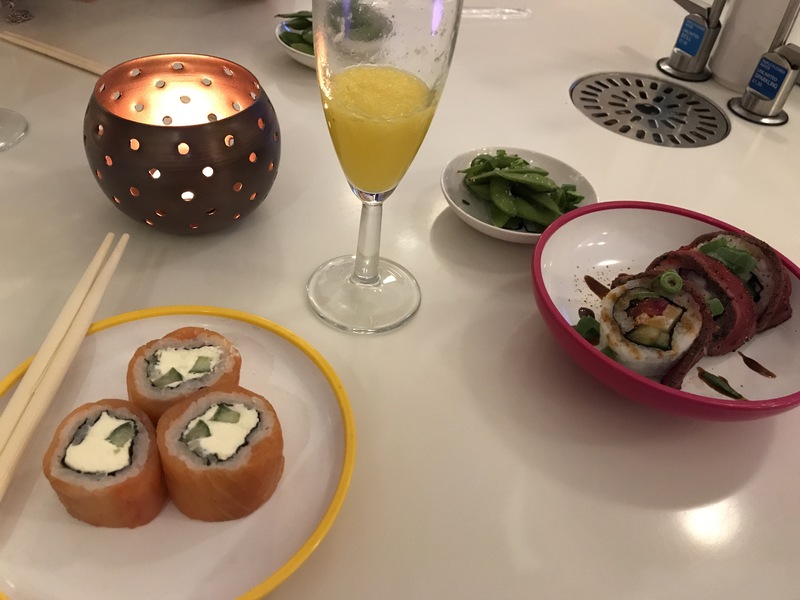 Sushi in Chester, available from 25 April. Read on to find out what she thought. All photos and videos by Angela Ferguson. I’d be lying if I said I wasn’t like a child in a sweet shop at the launch of Yo! Sushi‘s new menu. As a long-time Yo! 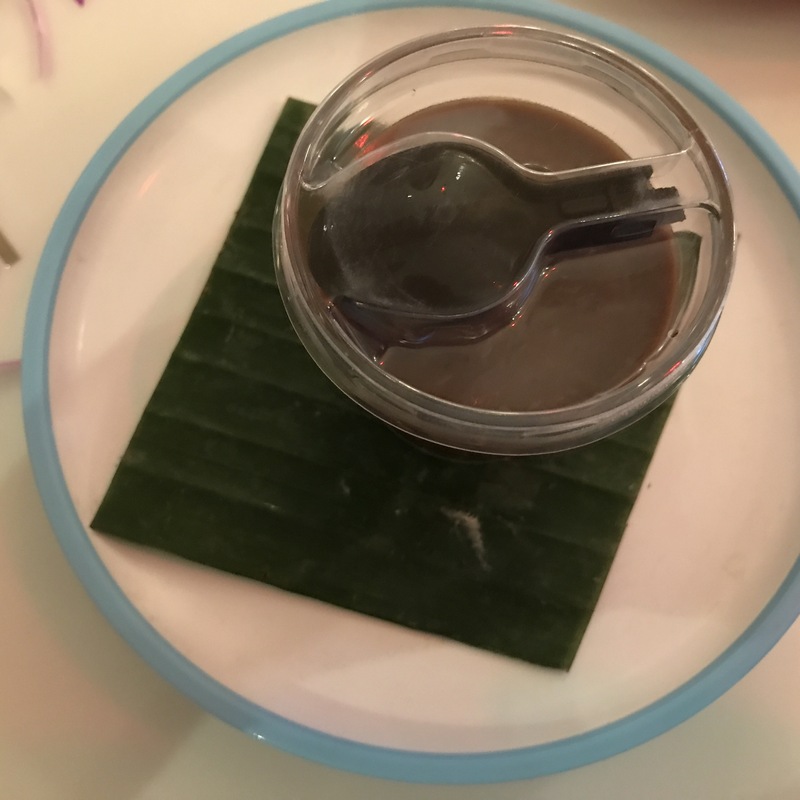 Sushi fan, I was never going to turn down the opportunity to chow down on the restaurant’s latest menu additions, to be rolled out across the country on 25 April. 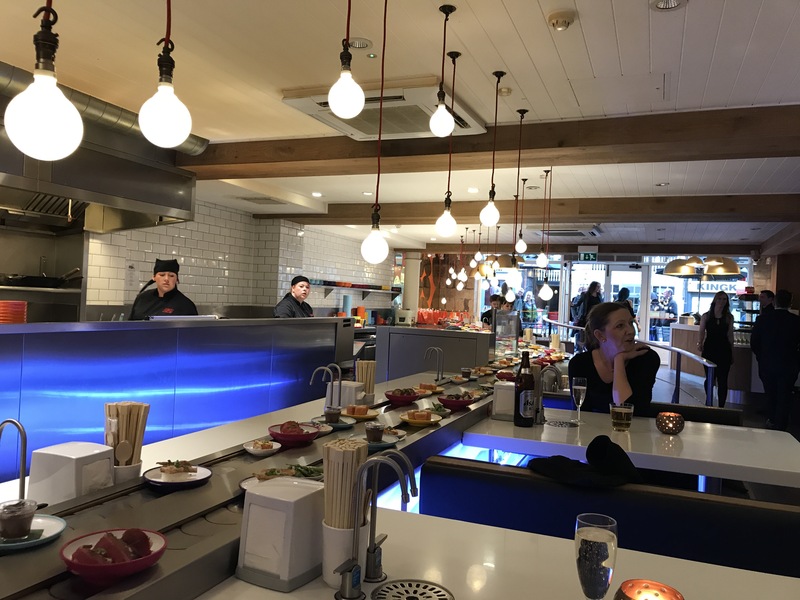 There were what seemed like a vast number of tempting dishes coming towards us via the obligatory conveyor belt, each with their own cute colour-coded plates. We were also fortunate, indeed, to be entertained at the launch party by talented singer and musician Samwise, who performed an eclectic mix of songs on an acoustic guitar to accompany our feast. We had everything from Johnny Cash to Etta James, with a bit of Justin Timberlake’s Cry Me a River and even Part of Your World from The Little Mermaid thrown in for good measure. So as these colourful little plates hurried towards us, bursting with various edible treasures, it was hard to know where to start. 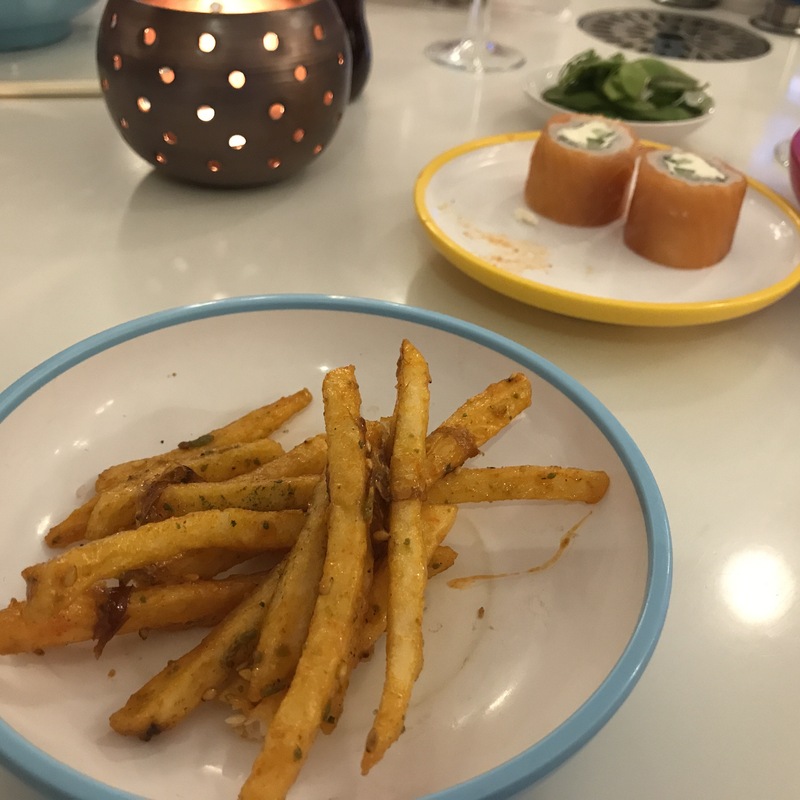 My dining partner – a first-time Yo! 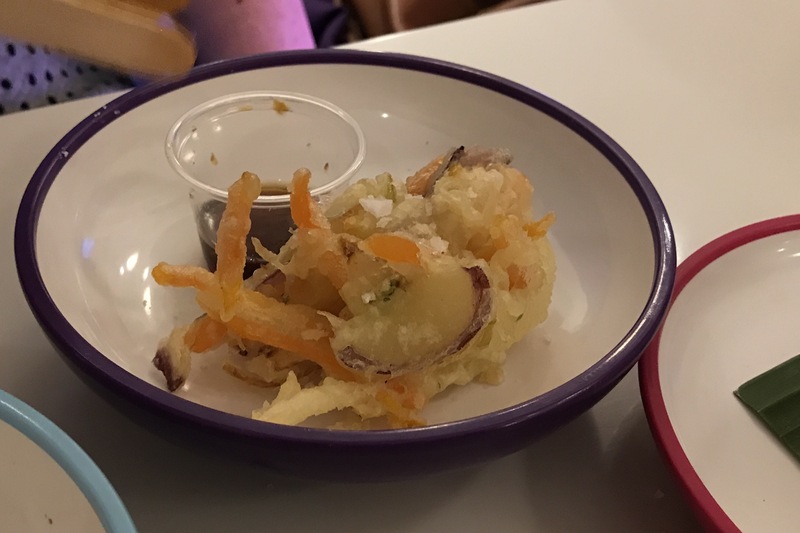 Sushi customer – availed herself of the new vegetable tempura dish, vegetable kakiage, which included tasty strips of carrot and onion in an irresistibly light crunchy batter, served with a soy/sesame oil infused dip. Her decision to have second and then third helpings of this dish confirmed just how much she enjoyed it. 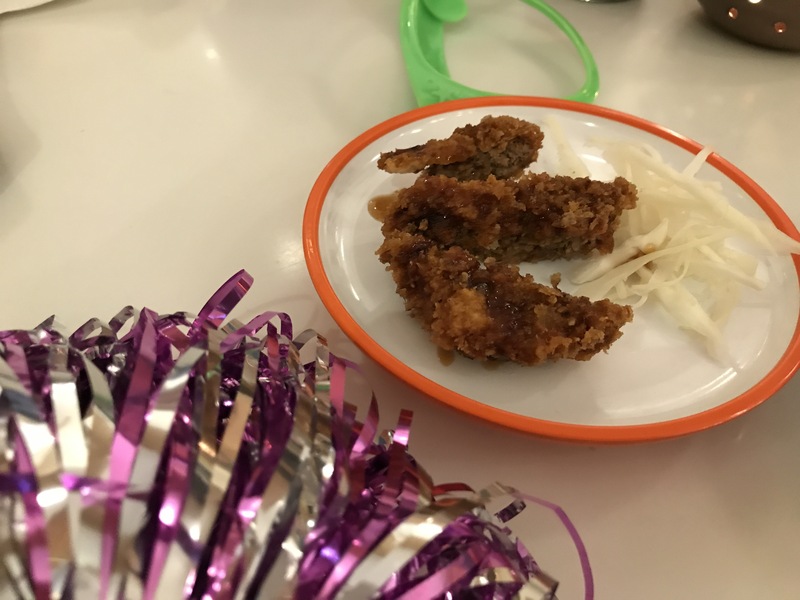 I believe I managed to try every dish from the overwhelming array of new menu additions, with favourites including smoked salmon and cream cheese sushi rolls and the cutest chicken katsu sando sandwiches, apparently served up to travellers on Japan’s famous Bullet train – lucky blighters, I say. It sure beats a plain ham or cheese sandwich which you’re more likely to find on trains in the UK. 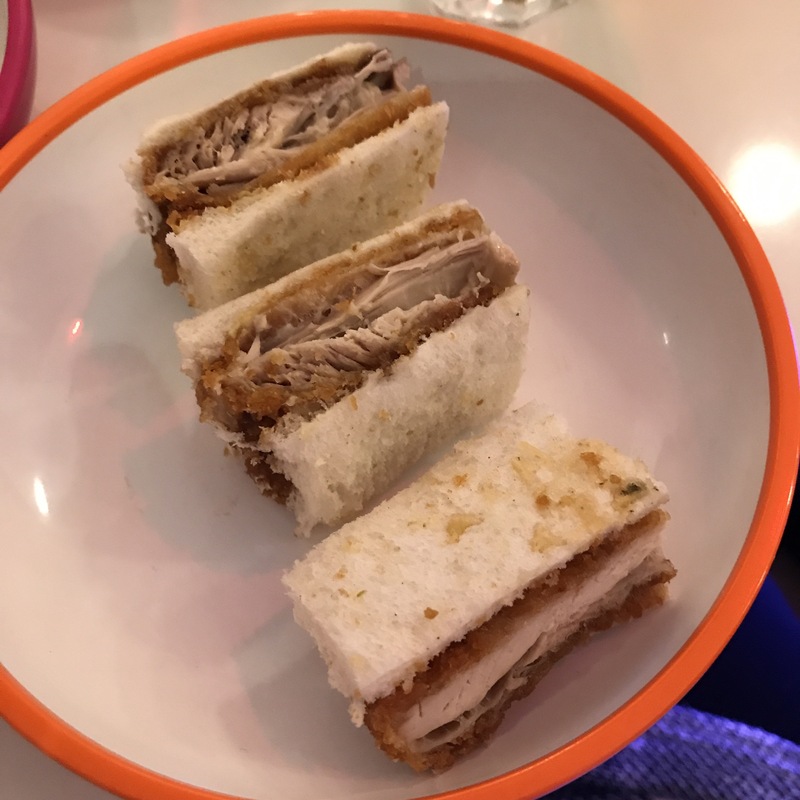 We’ve got to be honest, at first glance these dainty diddy sandwiches didn’t look anything to shout about, but one bite – quickly followed by several more – soon changed my mind. Crunchily encased chicken is served up alongside a mustard sauce with a hint of sweetness, making for a rather sublime foodie heaven kind of experience. Other favourites from the night were the rather moreish spicy furikake fries, Osaka style squid, with a good garlic hit, and the beef katsu. And when it came to pudding, we were rather taken with the malt chocolate – an ever so dainty yet rich portion of melt in the mouth chocolatey goodness. We also loved both the Ginza strawberry cake and the Tokyo banana cake, which were surprisingly light and hugely moreish. 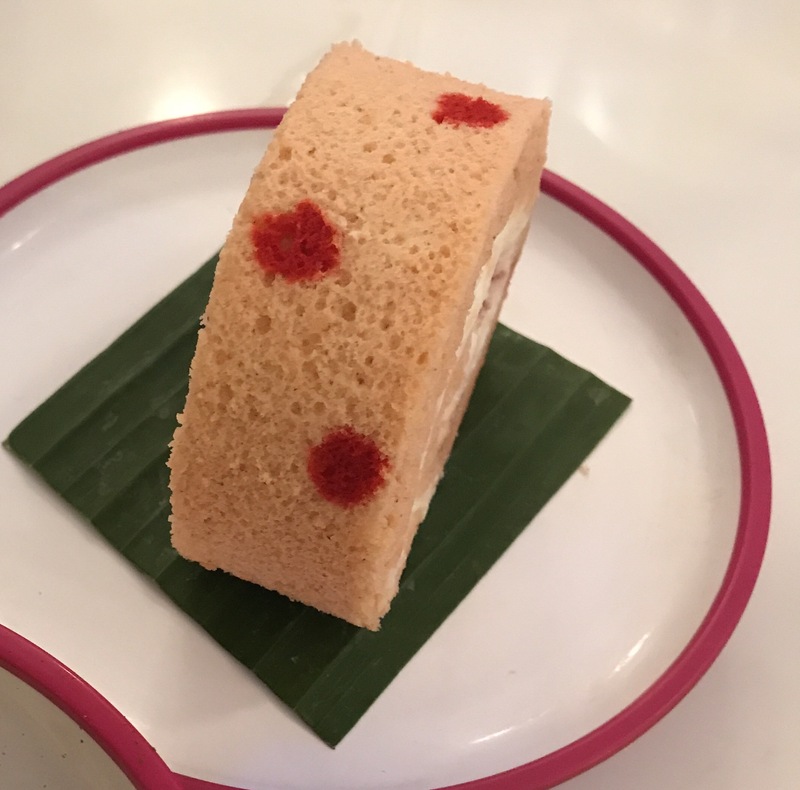 The Ginza cake even had the cutest red spotty design on the outside, kind of bringing to mind the CBeebies character Oopsy Daisy from In The Night Garden (can you tell I’m a parent?!). We took our leave, with the party atmosphere still in full flow at this funky Chester restaurant. The staff were lovely and couldn’t have been more attentive and the whole evening was filled with fun and a fantastic feast for the senses. We will definitely be back. Yo! Sushi is at 46 Bridge Street in Chester. To book, call 01244 434100 or email: yo.chester@yosushi.com. I'm a writer, journalist and blogger, as well as the founder and editor of culture webzine wearechester.co.uk. I'm also a university lecturer in journalism and media communications and a radio presenter for hire.